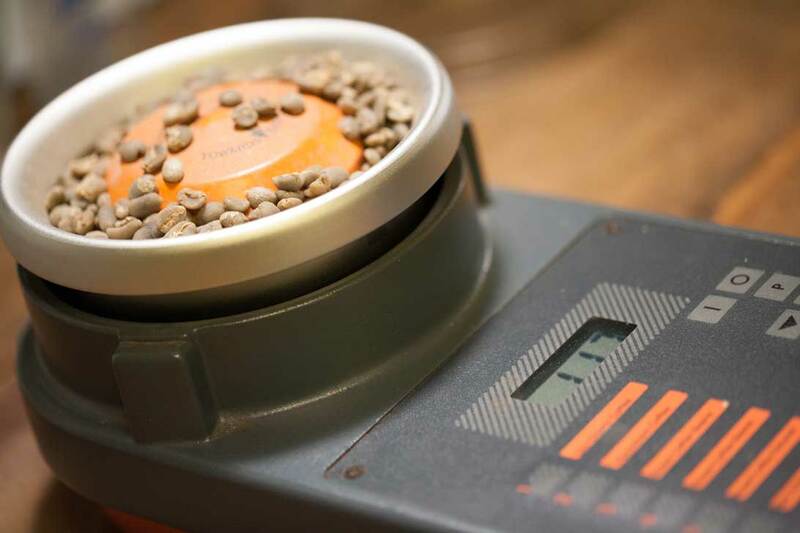 As part of the quality control we go through when sourcing coffee, all samples are measured for the proper moisture. If there is too much or not enough moisture in the green bean when it arrives to us this can mean the coffee was not dried properly. This can have an adverse effect on the taste.